Meetings of interest to community benefit professionals. CleanMed Nashville will explore the power that collaboration can have on our ability to transform our hospitals and communities. 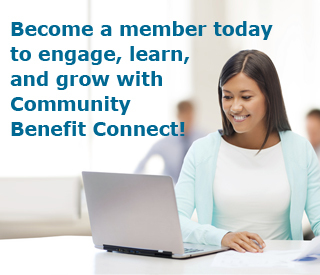 The Community Benefit Connect Regional Convening was held May 4, 2016 and provided a unique networking opportunity for hospital community benefit professionals and those interested in community benefit. Click Here For Meeting Slides! community benefit tool, or resource.